The test mule of the Tata Tigor seen in the images is likely to have a BS-VI engine under its hood. Styling to be based on IMPACT 2.0 philosophy. After the launch of the Altroz premium hatchback in India, Tata Motors is going to introduce the mid-life facelifts of the Tiago and the Tigor. Testing of the updated versions of both these vehicles has already commenced. And hence, a number of spy shots of the same have started coming up on a daily basis. 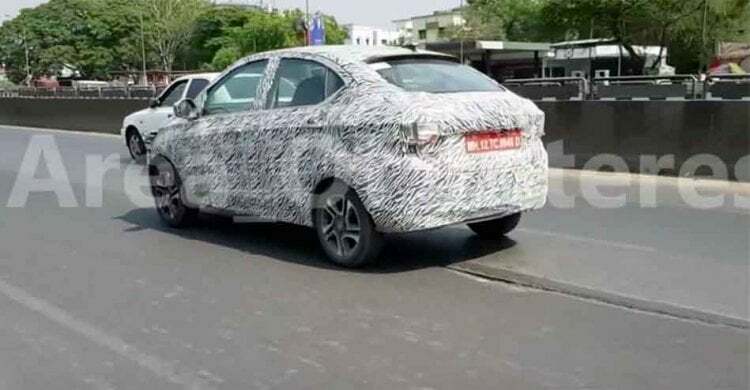 The recent set of spy images of the Tata Tiago facelift confirms the speculations that just like the Tiago, this notchback is also going to get changes in accordance with Tata’s new IMPACT 2.0 design language. Going by these images we can see that the front of the car is now more angular than before. The headlamps units are considerably larger while the grill also bears a sharper profile. There are significant changes done to the front bumper as well. And these are likely to be replicated on the rear bumper. When viewed from the side, the Updated Tigor looks identical to the current iteration. This was expected at the new version is just a mid-life facelift and not a complete generation update. Both the Tigor and Tiago received a new top-spec variant recently. This saw it get new detailing in the headlamps along with a new set of alloy wheels and a new touchscreen infotainment system inside the cabin. With this mid-life facelift, expect this notchback to retail the cabin layout, as if the case with all the facelifts. Tata can add a couple of features to this car’s list though. One of the biggest changes expected with this mid-life facelift of the Tigor is going to be the replacement of the current BS-IV spec engine with a BS-VI complaint one. The carmaker is likely to simply make the existing 1.2-litre, 3-cylinder petrol engine BS-VI complaint instead of developing an all-new engine al-togehter. Another major change with the launch of the updated Tata Tiago will be the deletion of a diesel engine from its line-up.